An arcade action game developed by Ngames Limited for mobile devices. The title takes the player to the post-apocalyptic universe known from the comics in which humanity faces the attacks of giant beasts – the Titans. Attack on Titan Mobile is an action game released on iOS and AND. It was developed by NGames Interactive and published by GameSamba. The game is based on the Japanese franchise Attack on Titan. The franchise was started in 2009 with a comic series created by Hajime Isayama. Then the series spread to other media, including animated series, cinematic animations and games. Just like the comic, the game takes place in a post-apocalyptic fantasy world and tells the story of the handful of humans, who survived the end of the world and now have to fight for their life against mysterious beasts known as the Titans. These creatures seemingly aren’t intelligent and exist only to devour humans. In response to the threat caused by the beasts, the survivors found refuge in a grand city, access to which is defended by a series of giant walls. This provided a few decades of a relative peace, but when the story starts, the walls were breached and it was revealed that some of the Titans are intelligent and have their own dark plans. 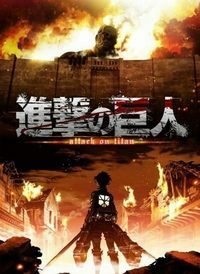 iOS and AND version of Attack on Titan Mobile is an action game in which the player is tasked with fighting the Titans. The enemies are much larger than the protagonist and the only way to kill them is by attacking a small area on their neck. In order to do it, the player must use a device that shoots grappling hooks, which enables the characters to freely move in the air. The gameplay mechanics combine features of runner games with a more advanced control system that is typical for action games. The character moves automatically, but the player can influence his behavior and activate attacks and stunts by using various gestures. The player must carefully plan his attacks and then realize them quickly and precisely. A character development system makes the game more interesting.